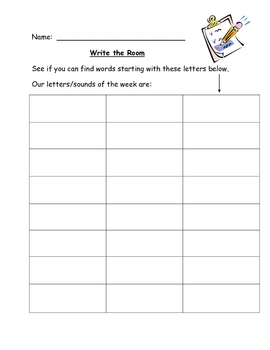 Provide children with a full-page "Write the Room" form during Literacy Centers. This will help children work on handwriting as well. Children can look for words that begin, end, or contain a specific letter, blend, diagraph, word family, etc. This can be differentiated and changed throughout the year for different lessons or units.